The Canadian had to overcome before the American to take the game in three sets. He will fight for a place in the final against Roger Federer. 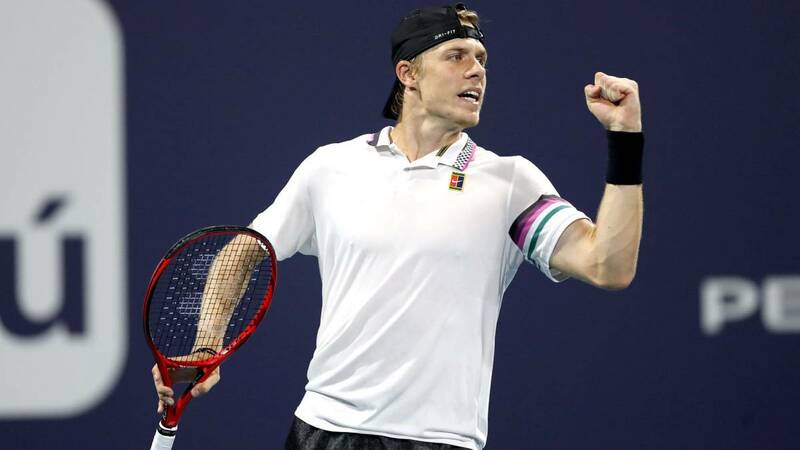 The Canadian Denis Shapovalov, twentieth seed, won this Thursday by 6-7 (5), 6-4 and 6-2 to the American Frances Tiafoe, twenty-eighth favorite, in the duel of new promises of the ATP and passed to the semifinals of the Miami Open. Although losing the first heat, when Tiafoe played his best tennis by leaning on the serve, Shapovalov, 19, resurfaced in the second with more consistency in all the strokes and was less more to get the victory that puts it for the first time in the semifinals of Miami. The young Canadian promise will rival the Swiss Roger Federer, fourth seeded, which surpassed the South African Kevin Anderson, sixth favorite, 6-0 and 6-4. It will be the first time that Shapovalov has measured the Swiss at the ATP circuit. The match between Shapovalov and Tiafoe was the star in Miami of the new generation, which is known as the "#NextGenATP" , lasted two hours and 15 minutes, he left the Canadian with seven 'aces' for five of the American, who committed six double faults. Shapovalov was superior both with the first and with the second serve and in the end he achieved 66 points for 65 of Tiafoe. The young Canadian promise won 40 points receiving by only 25 of his rival, to which Shapovalov broke his serve four times for one he lost.